Exploring the long history of cultural exchange between 'the Roof of the World' and 'the Middle Kingdom,' Buddhism Between Tibet and China features a collection of noteworthy essays that probe the nature of their relationship, spanning from the Tang Dynasty (618 - 907 CE) to the present day. Annotated and contextualized by noted scholar Matthew Kapstein and others, the historical accounts that comprise this volume display the rich dialogue between Tibet and China in the areas of scholarship, the fine arts, politics, philosophy, and religion. This thoughtful book provides insight into the surprisingly complex history behind the relationship from a variety of geographical regions. Includes contributions from Rob Linrothe, Karl Debreczeny, Elliot Sperling, Paul Nietupski, Carmen Meinert, Gray Tuttle, Zhihua Yao, Ester Bianchi, Fabienne Jagou, Abraham Zablocki, and Matthew Kapstein. "In this outstanding collection of essays, eleven authors explore in fascinating detail the 1,300-year history of Sino-Tibetan relations and, in so doing, not only upend the conventional narrative about this encounter, but also provide a model for future research on the role that Buddhism played in shaping historical interactions across Eurasia. Indeed, on account of this larger theoretical concern and its important implications for our understanding of Asian history, let us hope that this volume receives the wide readership it so rightfully deserves." "Buddhism Between Tibet and China, under the careful editorship of Matthew T. Kapstein and with the collaboration of ten exceptionally well qualified specialists, reveals that the relationship between 'the Rooftop of the World' and 'the Middle Kingdom' has not always been one of revolt and repression. Rather, what we find in this highly informative and aptly illustrated volume is that-throughout the past thirteen hundred years and continuing right up to the present moment-Chinese individuals from various walks of life have often displayed a serious interest in Tibetan Buddhism. Not only have they learned much from this complex, captivating religion, they have also taken concrete steps to support and popularize it. This fine book offers a welcome palliative to all the harsh rhetoric that customarily surrounds the Tibet-China conundrum." "This splendid book about the multifaceted Tibetan-Chinese interactions through Buddhism will quickly become established as ground-breaking and authoritative in its field. The book is diverse in the different regions of the Chinese world that come under discussion, from Tibet, Qinghai and Sichuan to Beijing and Taiwan; and in the periods considered, which range from the seventh to the twenty-first centuries. And this book is a veritable storehouse of insight and information on Tibetan Buddhism in China, including art, thought and eminent personalities. The writing is objective, detailed and highly readable. I recommend it strongly." "While the thorny issue of Tibet's autonomy is still not resolved, the story of the religious relationship between Tibet and China needs to be told. It has recently become a rich area of study, and researchers can now demonstrate that in the past Buddhism served to mediate relations between Tibetan ecclesiastical powers and the Chinese imperial court, and in effect, was a cultural lingua franca. 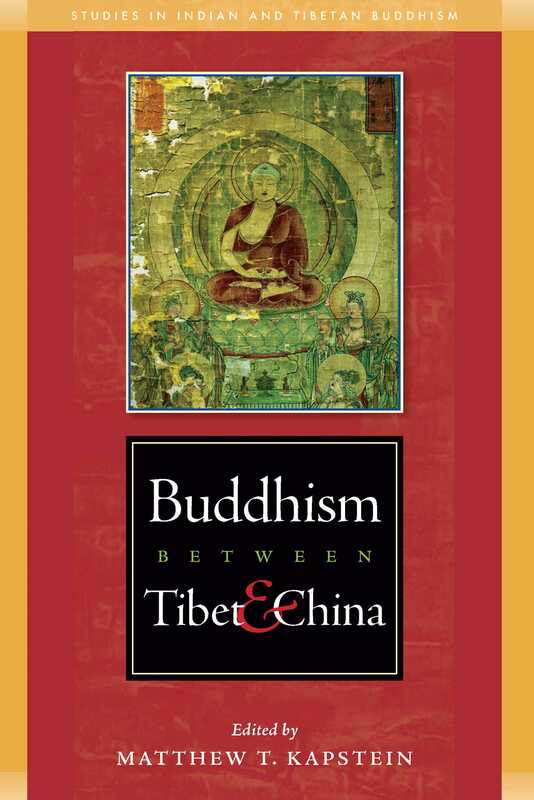 This richly rewarding book is a part of Wisdom's Studies in Indian and Tibetan Buddhism series and its eleven contributors have offered case studies spanning more than a millennium, right through to the Dalai Lama's 1997 visit to Taiwan."